Transformers is a new series that will look at people who are re-making their context from within. They are people- Musicians, artists, politicians, activists, designers- who don’t run away from the failures of their communities, but instead transform the culture in which they find themselves, in order to serve a larger vision. I’m what happens when Outkast meets the writings of Moses. “If you live for people’s acceptance, you will die from their rejection,” is an oft-repeated phrase of Lecrae Moore, the hip-hop artist known simply by his first name. He should know. Lecrae was abandoned by his father as a child and grew up a member of a people who had been largely rejected by America because of their skin color. By the time he was a teenager, Lecrae was a survivor of sexual abuse, poverty, and a culture that had embraced the stigma hoisted onto them by the mainstream, one that claimed that they were all junkies, gangstas and thugs- irresponsible men who had chosen crime instead of work. Fine, the men of this culture said, men impoverished by a toxic brew of trauma, systemic discrimination and the deprivation of education and opportunity- call us thugs, then we’ll be in your face thugs. If people throw stones at you, pick ’em up and build something. By his teen years, Lecrae had embraced drugs and womanizing (he says he tried everything but heroin and crack) and was headed for a downward spiral of desperation, brutality, and self-medication-by-street-drug like so many of the men he had grown up with. Lecrae became a dealer and used the Bible that his grandmother gave him as a good luck charm. After being arrested for drug possession, the officer saw the Bible and let Lecrae go, on a promise that he would agree to live by it. Lecrae decided to attend Church, where he met his future wife, Darragh. Drawn in by the humanity and loving kindness of those he met there, he gradually became religious, though he continued to struggle with the hangover from his past for years. The spark that ignited the flame and changed his life was the collision of his newfound spirituality with hip-hop. Soon after, he was in a brutal car accident where the car rolled and the roof and window caved in. Although his glasses were molded into the car, Lecrae himself survived completely unharmed. The experience shocked him into the religious commitment he had been courting, but not embracing. Better to have a small role in God’s story than to cast yourself as the lead in your own fiction. Lecrae began fusing his love of rap and hip-hop with his desire to be an evangelist and soon was a fervent, not to say somewhat strident, young convert peddling Christian hip-hop. His timing was good, and he seemed to plunge into a Christian world ready for what he was doing. By the time of his third album, Rebel, in 2008, he was soaring to stardom in the Christian music world. It became the first Christian hip-hop album to reach No. 1 on the Billboard Gospel chart. Lecrae’s albums were known for a heady mix of aggressive southern hip-hop with lyrics celebrating grace. He challenged his listeners to respond to the Christian message and told stories of the struggles of the spiritual life. Yet, under the surface, a revolution was developing which would cut new ground in two directions. Lecrae was gradually growing more sophisticated musically, lyrically, and conceptually, and beginning to chafe at being defined as a “Christian rapper,” which confined him to a ghetto separated from other musicians, as well as non-Christians. His 2010 album, Rehab, was the peak point for the first stage of his career as a Christian rapper, and also the beginning of his journey into the mainstream. In 2011, Lecrae performed at the BET Hip Hop Awards. In 2012, he released his first mixtape, Church Clothes, his breakthrough into mainstream hip-hop. The album, which departed from straightforward gospel lyrics, was downloaded over 100,000 times in less than 48 hours. His sixth studio album, Gravity, came out the same year and has since been called the most important album in Christian hip-hop history by Rapzilla. The album debuted at No. 3 on the Billboard 200 and won the Grammy Award for Best Gospel Album in 2013, marking the first time that a hip-hop artist received the award. Gravity saw Lecrae expanding his artistic palette and adopting a prophetic, critical tone towards hip-hop culture itself, taking on young men who adopt gangsta culture as an aesthetic pose (“Fakin'”); street violence (“Violence”) and the empty pursuit of wealth (“Confe$$ions”). The album also featured lyrics dealing with the struggles of faith and the dark night of the soul which were much more raw and vulnerable than previous efforts, as well as more accessible to any listener, not just Christians or hopefully soon-to-be-Christians. With Gravity, Lecrae had pulled off a remarkable act of alchemy. On the one hand, he had taken hip-hop, often viewed as the music of gangsta culture, into the heart of Christian music. On the other hand, he had brought spirituality into mainstream hip-hop with more success than anyone before him. Lecrae had moved into a music with powerful potential that had become a vehicle for valorizing the dysfunctions of his peers, and turned it into a vehicle of strength and transcendence. In doing so, he had become not only a transformer, but a bridge builder, opening up new possibilities for the church to understand the trap, as Lecrae and others refer to the ghettos they grew up in. He wasn’t done pushing boundaries yet, but he would pay a hard price and learn some painful lessons in the years to come. In 2014, Lecrae released his seventh album, Anomaly, in which he embraced both a more politically confrontational message and his own growing status as an outsider who didn’t quite fit anywhere. It debuted at No. 1 on the Billboard 200, the first album to top both the Billboard 200 and the Gospel chart simultaneously. The political songs of Anamoly and the album that followed, Church Clothes 3, caused a backlash against Lecrae from some in the Christian community. He was criticized for singing songs that didn’t mention Jesus enough, associating with non-Christians and “sinners” -much like the actual Jesus. 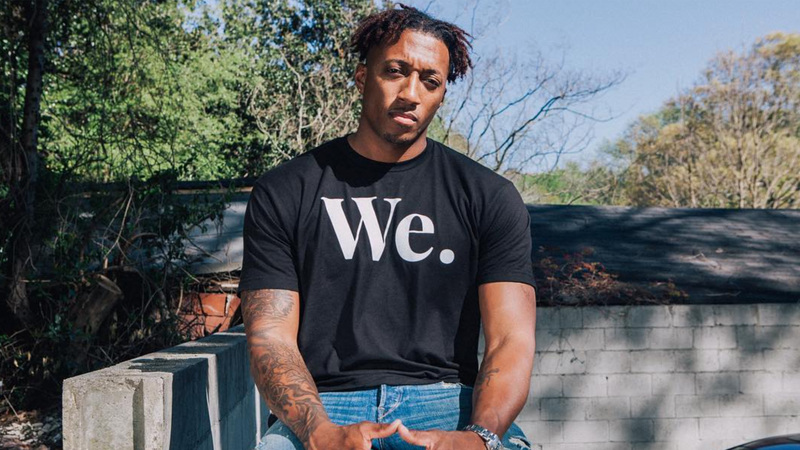 His lyrics increasingly took on racism and social justice issues – again like the actual Jesus, but not so much like too many of his current white evangelical devotees, who were not so happy with Lecrae’s new direction. If you want a religious puppet, you’re gonna have to hang this guy. In 2015 Lecrae went out on a limb and wrote op-Ed articles for Billboard dealing with police violence, hate crimes and racial injustice in the US, including the Ferguson protests, the 2015 Charleston Church shooting, and the 2016 killings of Alton Sirling and Philando Castile. Lecrae called for dialogue and empathy between different communities and called for spiritual healing. In mid-2016, Lecrae did a talk about racial reconciliation at Yale University, titled “Knowledge through Narrative: Bridging the Racial Divide in America”. At the 2016 BET Hip Hop Awards, Lecrae performed a new song addressing racial injustice in the United States. He also gave a Tedtalk called Heroes and Villains: Is Hip-hop a Cancer or a Cure? in which he outlined his theory that our perceptions of heroes and villains are more simple than the truth, and also that hip-hop could be transformed from an art form that celebrated the limiting and destructive opportunities for self-assertion into one that offered new possibilities. Lecrae emerged out of the dark fire that followed on the release of Anomaly with a more clearly defined identity as a person and an artist, having cut a fine balance of honesty, devotion, and commitment to justice. He released two more albums, All Things Work Together and Let The Trap Say Amen, which charted his path into fearlessly embodying both his faith and his activism for social justice. As of 2018, Lecrae has managed to help transform hip-hop, Christian music, and American Evangelical Christian culture in general. Lecrae’s journey from monotonal dogma towards a multivalent art, from a focus on private values to public justice, and from puritan withdrawal to an inclusive fellowship with people of different lifestyles and views is a quintessentially contemporary one, or at least it should be.